2017 Ford F-350 Super Duty For Sale In Vernon, Kelowna, Okanagan, BC. Power and control come hand in hand on the 2017 Ford F-350 Super Duty as you take on more with confidence. Through a four-door design and a seating capacity of up to 6 individuals, this truck not only delivers on the job but also increases your ability to enjoy every moment of your weekend. Available trim levels include the F-350 XL, F-350 XLT, F-350 Lariat, F-350 King Ranch, F-350 Platinum and the F-350 Platinum. Surround yourself with modern innovations and premium features with the interior of the 2017 Ford F-350 Super Duty. 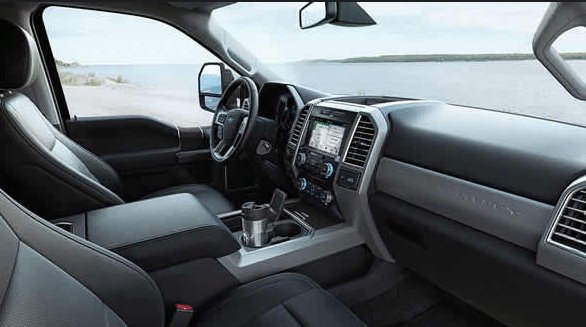 Relax on the available Heavy-Duty Vinyl or Cloth or Premium Leather Seating Surfaces as you customize your comfort through the optional 10-way power adjustable front seats. Endure a long and cold northern winter or relax during a hot sticky summer with the help of the available heated and cooled front seats. Premium details are found with the available leather-wrapped and heated steering wheel. Keep your hands toasty warm and keep them on the wheel as the mounted audio controls provide you with access to your settings without compromise. Bringing along a variety of cargo items is simple as the rear 60/40 fold-up bench seats enable you to bring along just about anything. 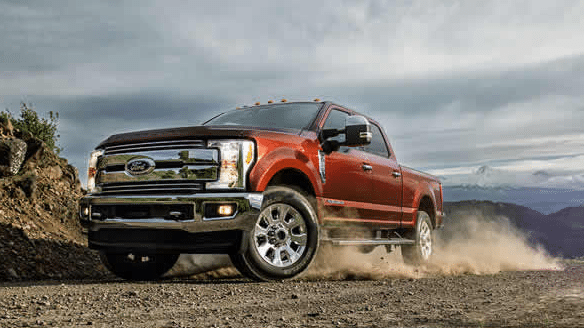 On the outside, the 2017 Ford F-350 Super Duty reflects the power held within through its bold body structure, aggressive detailing and immense capability. The distinctive bar style grille comes in both chrome and black, while the front and rear chrome steel bumpers draw in attention. Light up the path ahead through the available quad-dual beam halogen headlights and available fog lights as the available LED Box Lighting allows you to work late, even after the sun has gone down. Thanks to the Built Ford Tough frame, you are able to drive with minimized flexing and twisting and increased strength. Enhance each driving experience in the 2017 Ford F-350 Super Duty through a series of innovative entertainment and connectivity features. Thanks to the available Sony Audio System you are given the listening power of a single disc CD player, MP3 capability, ten speakers and a subwoofer, helping make even the longest of journeys feel quick. Communication is provided through the available SYNC 3 system, as you take advantage of Bluetooth audio streaming and voice-recognition for hands-free access to calling, messaging, music search and more. Find your way with through the optional Navigational system with turn-by-turn directions and 3D mapping for a smooth arrival at each destination. For each Ford driver, there is a set of Ford Original Parts and Accessories that help you customize your ride the way you like it. On the 2017 Ford F-350 Super Duty, you are able to enhance protection through features such as the all-weather floor mats or seat covers as you increase convenience with the technology of the keyless entry keypad and remote start. Keep everything organized through the available cargo trays and organizers, so that your items stay secure and in place. Power and handling become your tools for success in the 2017 Ford F-350 Super Duty as you embrace modern capability. Engineered to deliver heavy-duty results, this truck is equipped to handle extreme conditions far beyond what you encounter on your toughest jobs. Shifting quality is enhanced through the TorqShiftâ 6-speed SelectShift Automatic transmission where bigger, stronger gears are provided to handle the heavy torque demands of both the turbo-diesel and gas engines. 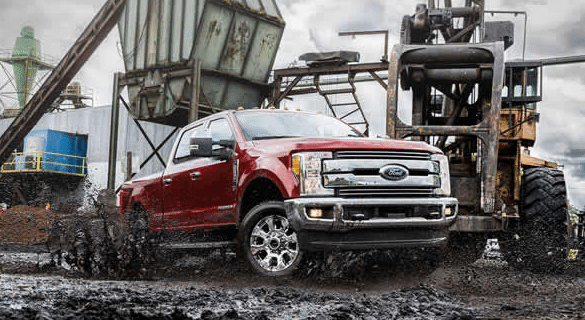 Impressive drivability and lasting power come forward with the 2017 Ford F-350 Super Duty, where you are given the tools you need to get the job done right! Explore the 2017 Ford F-350 Super Duty at your local Vernon Ford Dealer – Watkin Motors Ford. We aim to serve customer needs with integrity and ensure that you are given the tools you need to make a decision that is right for you!